Sources have confirmed that Sen. Bodi White plans to announce his candidacy for Mayor-President of East Baton Rouge Parish in the Nov. 8 election. Incumbent Mayor-President Kip Holden is barred from seeking reelection because of term limits. White, a conservative Republican from Central, will try to earn a spot in the Dec. 10 runoff by uniting voters in Central, Zachary, and Southeast Baton Rouge. 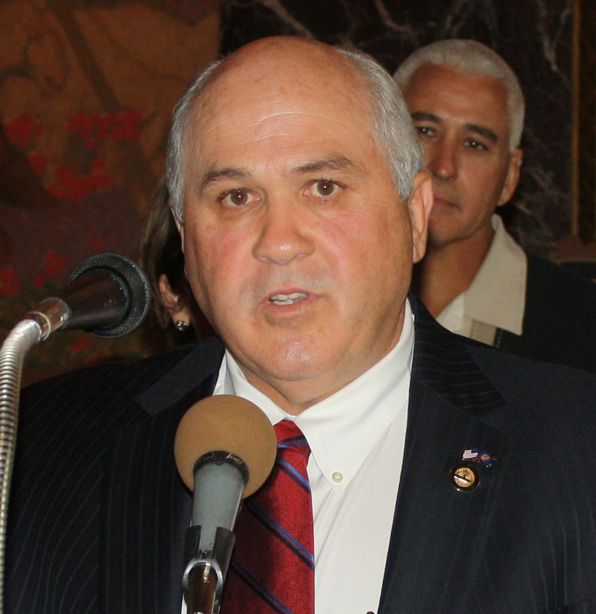 White served two terms in the Louisiana House representing Central and Livingston. He is in his second term in the Senate, where he represents a far-flung district that includes Southeast Baton Rouge, Central, and parts of St. Helena, Livingston, and Tangipahoa parishes. White was an All-State football player at Central High and graduated in criminal justice from Southeastern. He served as a detective for the East Baton Rouge Sheriff’s office and a supervisor at Exxon. His father was commander of the Sheriff’s Central Substation, and his brother Bryan White is chief of detectives. Sen. White has been the Senate floorleader for the St. George movement and sponsored the bill to create the Southeast Community School System. However, he has not stated whether he will continue to push St. George if he is elected Mayor-President. The other Republican in the Mayor-President’s race is Metro Councilman John Delgado.